What Plan Best Fits Your Needs? 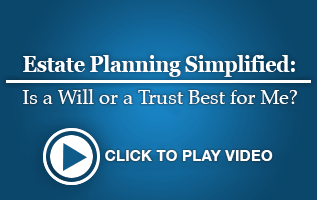 There are many options and things to consider when developing your Estate Plan. Our attorneys will carefully discuss your unique situation and assist you as you choose what plan is best for you. Because we don’t want the choices to seem overwhelming, we have tried to simplify the process. Don’t worry, we have a plan for you, too! Together we will determine the right plan for you!